This elegant hotel combines modern comforts with a traditional, warm atmosphere. 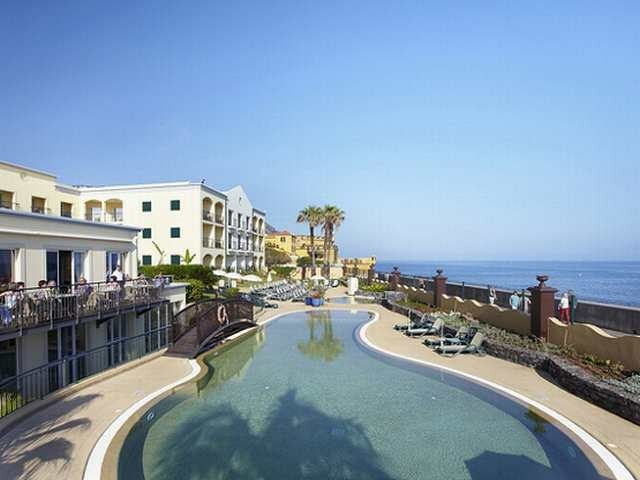 Situated close to the old town of Funchal, guests may enjoy fabulous views out over the sea and the city marina. Links to the public transport network may be reached on foot. It is some 25 kilometres to the international airport. Facilities include a spacious foyer, a bar in addition to a TV room and an à la carte restaurant. The tasteful studios and suites come with a combined lounge/ bedroom, a bathroom, a kitchenette, and a balcony. The suites additionally include a separate bedroom. In the well-kept outdoor complex are a swimming pool, a children's pool and a snack bar. Further leisure options include an indoor swimming pool, a Jacuzzi and a massage service. Sports enthusiasts may enjoy a workout in the in-house gym. The nearest golf course is 12 km from the hotel.